It is said that clay is the matter that we are made of. Buried in that matter are the memories that mould our experiences, our understandings and gestures. Memories that seem to belong to a time long before our very thoughts were shaped. Ancient yet familiar, they accompany us from places that only our cells have been. 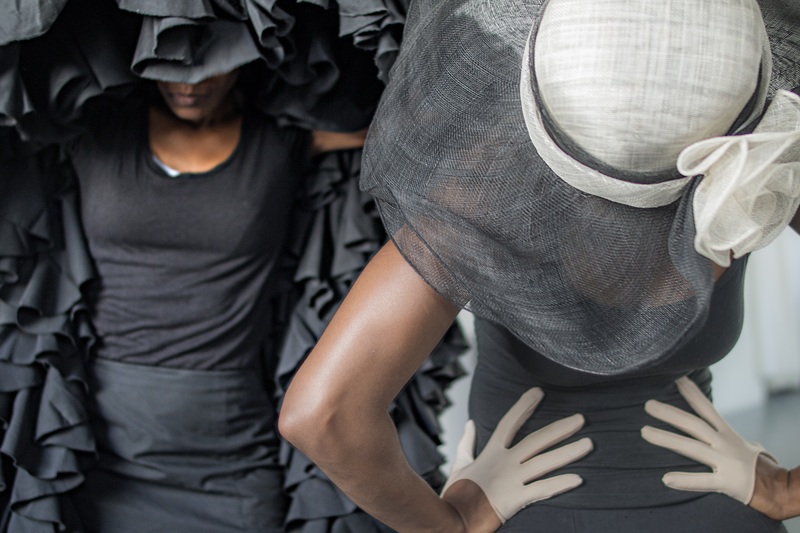 In CLAY Asha Thomas, American contemporary dancer and Yinka Esi Graves, British flamenco dancer, draw from their collective memory and experiences to create a unique language between them. It is their very dancing that goes in search of the past whilst being informed by it. One dancer of half Jamaican and Ghanian descent and the other from a long line of southern baptist preachers, explore the connections between who they believe themselves to be, and the unconscious parts that make up who they are. It is the place where this duo’s dance influences cross that evokes memories of imagined lands, all to the unique soundscape of flamenco and electric guitarist Guillermo Guillén. CLAY is a powerful game between solo pieces and explosive pas de deux, of their rhythms and unique expression. It asks us to locate the parts of ourselves that have formed over long periods of time, surviving the wear of migration to still be found today. 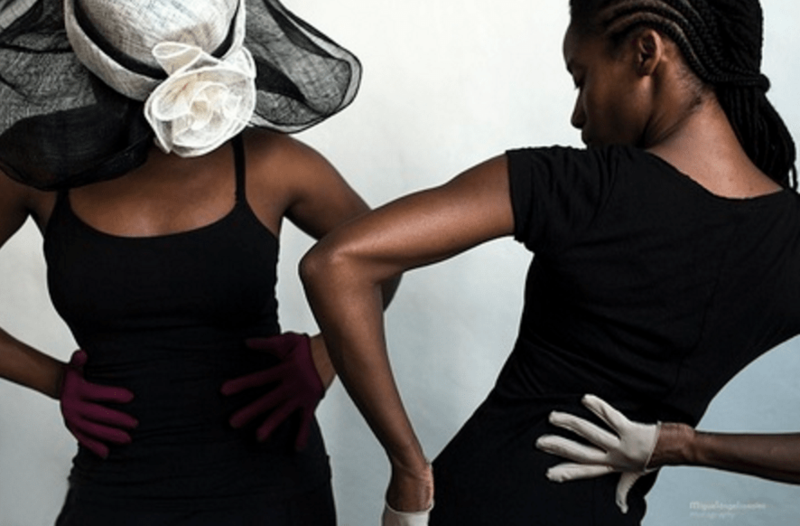 Choreographed and performed by Yinka Esi Graves and Asha Thomas. The artists of CLAY are proposing an open rehearsal where the public will be able to get a behind-the-scenes look into the creative process of the production. The artists find it important to share with the community all of the aspects that are involved in putting together a dance performance, whether it be collaborating with the lighting designer, refining and perfecting the dance movements, or the interactions between the dancers and the musician/composer. Afterwards, the audience will be given an opportunity to ask questions about the piece, to gain insight into the artist’s individual backgrounds, and to learn about the peculiarities of working and living internationally. The dancers in CLAY will offer a dance workshop that will expose the students to the different genres shown in the piece: flamenco, contemporary dance, and other social dances from the African diaspora. The students will experience how the artists of CLAY have chosen to interconnect the different styles and will also have the opportunity to explore themes that include sensibility to music and rhythm, bodily coordination and strength, and self expression through different dynamics.